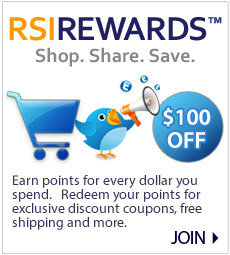 Shop and save on Cyber Steals at ReStockIt.com where great deals can be found all year long. Get great pricing on a variety of products, from office staples to cleaning essentials. We offer deep discounts on hundreds of top rated items. Find great bargains on breakroom necessities, cleaning products, even office furniture. See what's recently been marked down with new items added daily. Take advantage of these amazing Cyber Steals while they last. *Cyber Steals are excluded from discount coupons.